Paul is new to Gate, a school whose rich students make life miserable for anyone not like them. And Paul is definitely not like them. Then, something incredible happens. Charlie Good, a star student and athlete, invites Paul to join his elite inner circle. All Charlie wants is a few things in return—small things that Paul does willingly. Until one day Charlie wants something big—really big. Now Paul has to decide how far he'll go to be one of the gang. 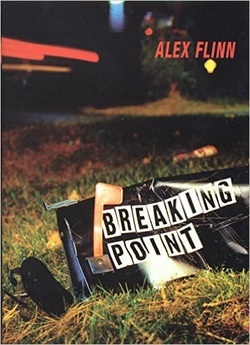 The electrifying follow-up to Alex Flinn's critically acclaimed debut novel, Breathing Underwater, Breaking Point is a tale of school violence that explores why and how a good kid can go 'bad'.